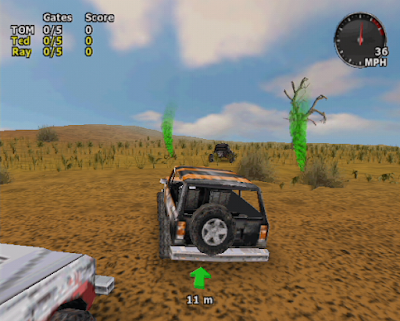 If you had to sum up 4x4 Jam in a simple phrase, it would be off road racer. 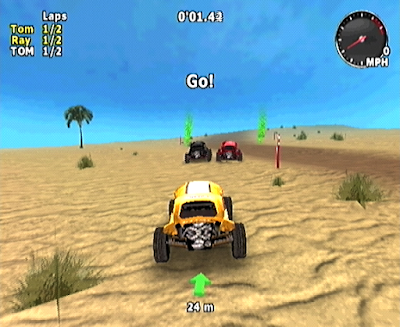 The closest game on the Dreamcast would be something like 4x4 Evolution; a sort of open world, go anywhere point to point off road racing title that throws steep inclines, unseen chasms, open plains and forested areas at drivers as they attempt to make it from one point to another on the non-linear circuit. There's 8 areas to eventually access in the game, each with a rather generic title that anyone who has a decent knowledge of racing titles will be instantly familiar with - Green Fields, initially the only accessible area, is unsurprisingly a rather pleasant area full of, erm, fields of green, whilst areas like 'Desert', 'Frozen' and 'Sand Dunes' won't take much imagination to visualise. Each of these areas can be accessed, eventually, in the quick race option, but to do so, you will have to make your way through the career mode - a 32 stage path through 4 different 'championships', which will take you through all environments and the games racing modes. In keeping with the games non-linear feel, the career mode isn't exactly focused - there's no leaderboards or championships to win as such, just event after event where winning or placing highly will unlock the next stage, gain the player some prize money, and sometimes unlock areas, cars or modes to play in quick race mode. Playing through the career mode alone will let you see the games varied environments and allow each of the modes to be played, and the difficulty starts to increase as the stages progress. 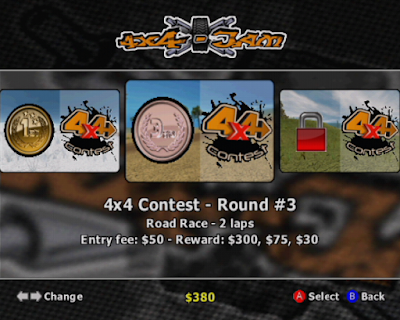 In actuality, there are 5 game modes to play, the quartet of events that are spread through the career mode and the free roam mode, which is only available in quick race. Free Roam is what it sounds like - an opportunity to take one of the games vehicles out into one of the environments and drive to your hearts content. 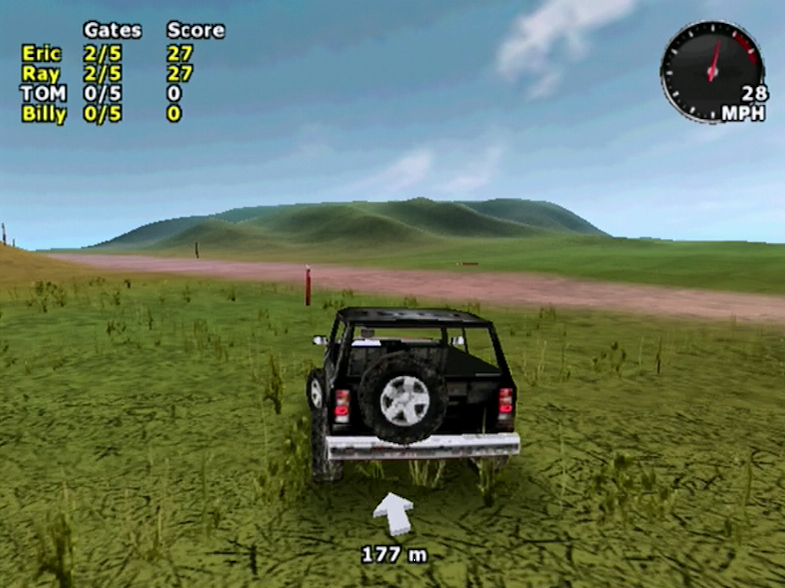 It's a good opportunity to practise the games handling model, different vehicles strengths and weaknesses, and just for some casual sightseeing. The 4 other modes have a bit more substance. 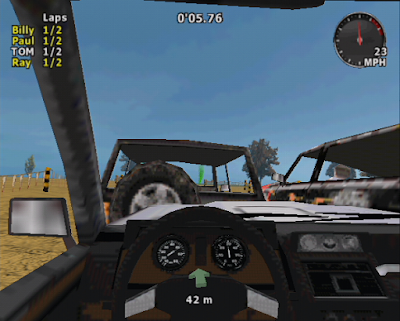 Road Race and Off Road Race are rather self explanatory, with the first mode using the environments road, track or dirt trail layout as the basis for the racing circuit, and the latter using the checkpoints a bit more liberally, cutting through environmental obstacles and rewarding risk taking routes. Collector mode is an interesting one, where each car must make it to a set number of items faster than their opponents, either by discovery or waiting a few seconds after a pick up for the guide arrow to point you in the general direction. 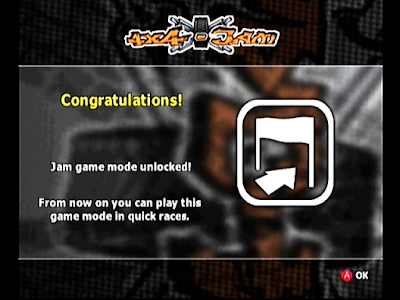 The final mode, and the games signature mode, is the Jam mode. At first this seems a rather simple affair, much like the off road race, but where the first car to reach the set number of gates is the winner. In fact, there's a bit more depth here, with points being allocated depending on streaks - the more gates you reach first in a row, the more points you gain. This makes things a bit more interesting, and opens up the possibilities for some tense encounters as the points rack up and the gates run out. Away from experiencing these modes throughout the career option, the quick race allows access to each of these for each environment with a couple of other options - between 2 and 10 laps for the racing modes, and 5-20 gates or items in Jam and Collector modes respectively. 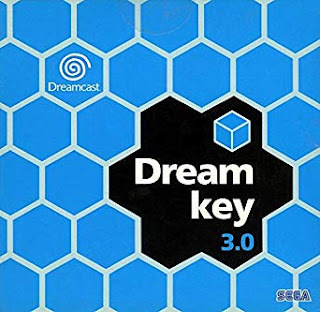 There's also 3 difficulty settings to select from, easy, medium and hard, which adds a little more depth, and perhaps makes up sightly for the games obvious initial flaw - no multiplayer. It perhaps would of been too much to ask for the game to have had a decent split screen (or hey, even online. We can dream, right? 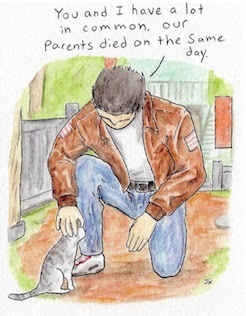 ), but it is a shame, as the game really would of suited it excellently. Nevertheless, the game should be commended for it's content and variety, especially after years of having DC indie titles that, let's face it, are generally quite short of depth. 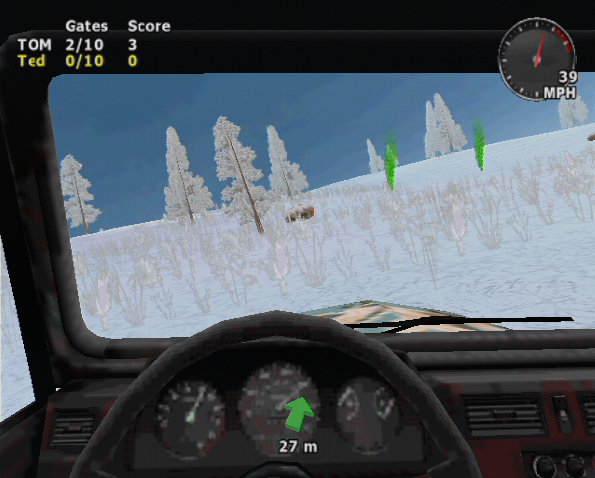 So how does the game control - a key question when examining an off road racer, as not only must you learn to master the driving of the vehicle, but also overcome the landscape as you battle between ridge and dip, tight sloping corner and long, bumpy straight? Well, not too bad, is my short and rather non-committed answer to you. Each of the games vehicles have slightly different handling subtleties to get to grips with, helped out by the games single driving 'aid', that of Braking help. This can be set to low, medium or high, or indeed off, depending on your preference, and can even be changed on the fly during any of the events, which is a good way of testing out which suits you best. For me, I couldn't tell that much of a difference between them, although setting it to high does give the vehicle some more stability, and stability really is the key factor about the entire game. You see, the basic driving system is one we'll all be familiar with - use the triggers to accelerate and brake, the stick to steer - and, especially on the earlier career levels with the first couple of cars available to you, it's all pretty much straight forward. Cars drive in the way you'd expect them too, struggling up inclines, stuttering over rough terrain, coming precariously close to tipping over if you take corners too fast. There's no vibration feedback, which is a shame, and it does feel a little bit simplistic - you don't get the full feedback of the terrain you're racing over as you would in the best off road games. Nevertheless, it's playable, the physics aren't completely unbelievable and it feels good. And then you purchase the 'Wrecker' car and everything becomes a little bit 'Benny Hill.' Within seconds of getting into my new vehicle, I had been sideswiped by an opponent and ended up rolling over onto the roof. The auto respawn rights you without much of a delay, but by the time I'd got back into the race and hit the next corner, there I was again, going nose over tail and ending up on a ridge, roof down, like a petrol-powered tortoise struggling to retain his footing. This was a regular occurrence, the slightest touch from a rival and I'd end up tumbling along like a failed gymnast. It doesn't kill the game - and crucially, it isn't something which happens in every vehicle - and actually, it's quite good fun, but it does underpin the fragility of certain elements of the game's physics system. I suppose we couldn't hope for a truly satisfying driving experience when you judge the games origins, but the ease of tipping the vehicle over, coupled with a few more issues, are a very obvious reminder that the game's handling model can sometimes feel cheap. Again though, I must reiterate that for the most part the handling in the game is decent enough. Most of the vehicles are far more stable, and you aren't forced to drive certain cars which mean those that feel a little more uncontrollable can be skipped over. What's not quite so easy to overlook is the collision detection with environmental objects - or lack of. Most trees can be driven through without any issue, which looks a bit naff, whilst there are a few that will act like brick walls and bring your car to a stop. If it was one or the other, then fair enough...but having a mix just feels a bit lazy. 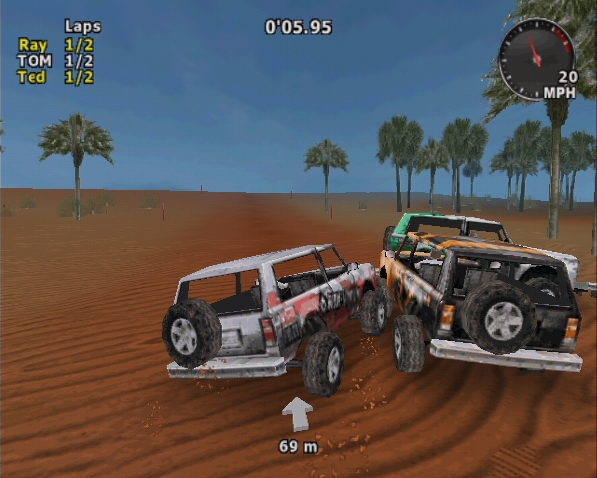 With any off road racer, the feeling of driving across different environments and mastering the different ways they each effect the handling is one of the most enjoyable aspects. 4x4 Jam doesn't quite master this, as there isn't enough difference to really get your teeth into. Think of the game more as an arcade title than a true off road racer and it's a bit easier to forgive though. 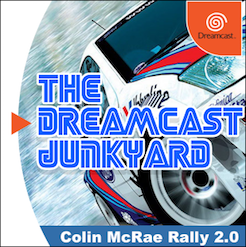 Fans of the Dirt series, for instance, looking for a Dreamcast equivalent to the master of off road games, may come away a little disappointed, but when compared to something like V-Rally, the best off road racer on the Dreamcast so far (a controversial opinion maybe?) the difference isn't as large. The game modes are interesting, and add some variety to proceedings. 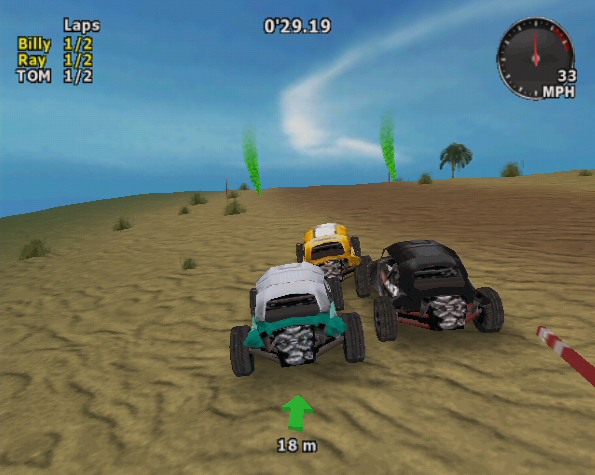 Both the race modes are as you'd expect, and are good fun. Collector mode feels a little unfinished, as there's a certain amount of randomness in finding items with luck. 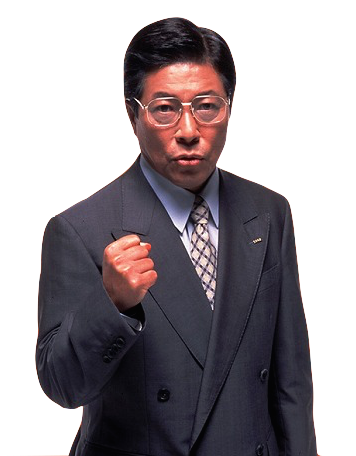 The Jam mode is probably the best on offer, as it combines the others, and can lead to some tense encounters as you attempt to stop an opponents streak from becoming unbeatable. The AI on the other hand leaves something to be desired. Easy and medium levels should be regarded as practise only, as they are far too easy to beat, but even on hard level the opponents can be frustrating. They don't like coming away from the racing line too much, and this can lead to some infuriating collisions as they take you out on a tight corner. It always seems too easy, even on hard, to streak off ahead of the opponents, which is a shame. It also makes progress in the career mode a little too quick, which with the absence of a multiplayer mode to keep interest up, does hurt the games longevity. To the games credit, things become far more competitive and close as the career progresses, but this can often be due to opponents having better vehicles than yourself. Pit you against a computer player in the same vehicle, and it seems the human always has the advantage. There's no bells and whistles in the presentation department, but then I didn't expect there to be. The menus are clear and easily navigable. 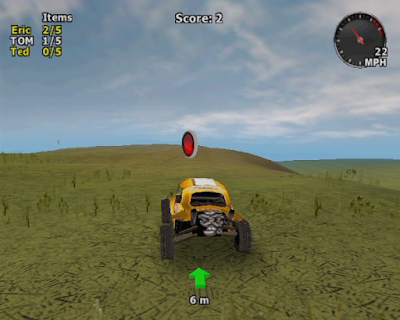 Selecting tracks in career, or options in the quick race modes, is easy and painless. There's not a plethora of options to choose from, but they are all easy to get to. There's also an explanation in game on the games various modes and controls. The game does sort of drop you straight into the main menu, where an introduction of some sort would of been nice, but these are minor quibbles. 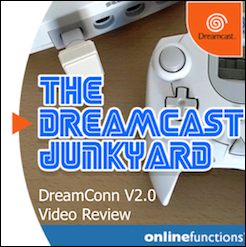 The port to the Dreamcast has worked well, with clear indications of which buttons do what, and an auto save function which I've had no issues with. There are, however, no graphics on the VMU screen. 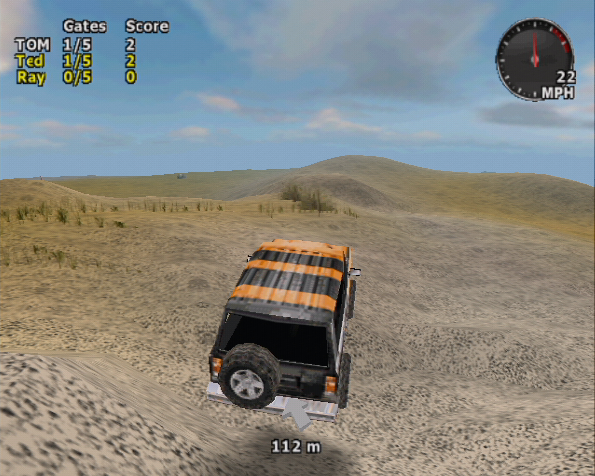 Graphically, 4x4 Jam has a lot going for it. 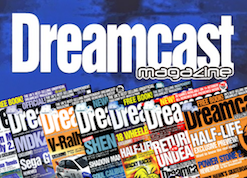 As the first 3D Dreamcast indie commercial release, it should be applauded. 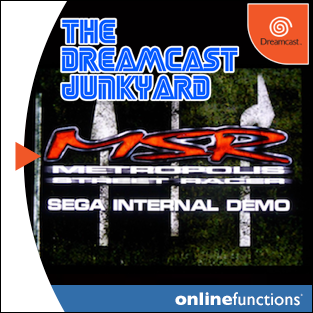 The vehicles look good, and comparable to some of the mid level racing titles released in the Dreamcast's lifetime, and the environments, whilst simple, are effective and have decent textures. The in car views are excellent for every vehicle, and are quite impressive to behold - especially when you consider how many Dreamcast games couldn't manage this internal viewpoint. 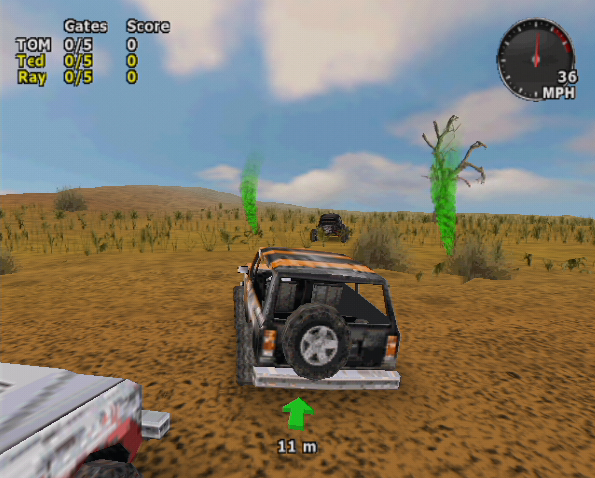 The other views in game are a mixed bag - the helicopter view (or chase view to you and me) is probably the most playable, whilst bumper and hood views are standard and work well. The external camera however, is just odd. Fixed to your car, it makes the entire game handle oddly and is best avoided. The elephant in the room and the question I'm sure most who have seen the video footage of the game running will want answered, however, is the draw in. 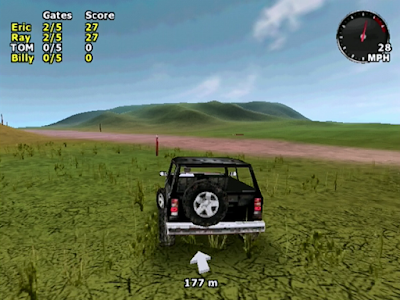 It is true that the game does visually update the landscape and draw in objects and surfaces at quite a short distance. There are two options available to allow for more or less detail, and to be honest there doesn't seem to be much of a difference between either, and there's no doubt the sudden appearance of objects ahead of you can be a bit jarring, at least to start with. In all honesty though, I soon learnt to deal with this and it became far less of an issue. 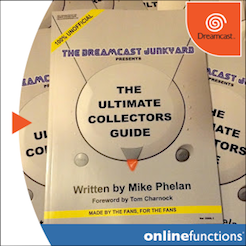 There's worse examples in the Dreamcast library, and it never becomes too much of a distraction whilst racing. There are some graphical bugs from time to time in the game, but these too are few and far between and don't effect the game in the long run. 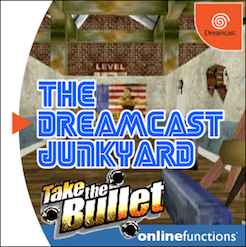 Overall, the game is not going to win awards for it's graphics when compared to the best looking Dreamcast titles, but as an indie game, the very fact that we've finally broken into the 3rd dimension is exciting in of itself. 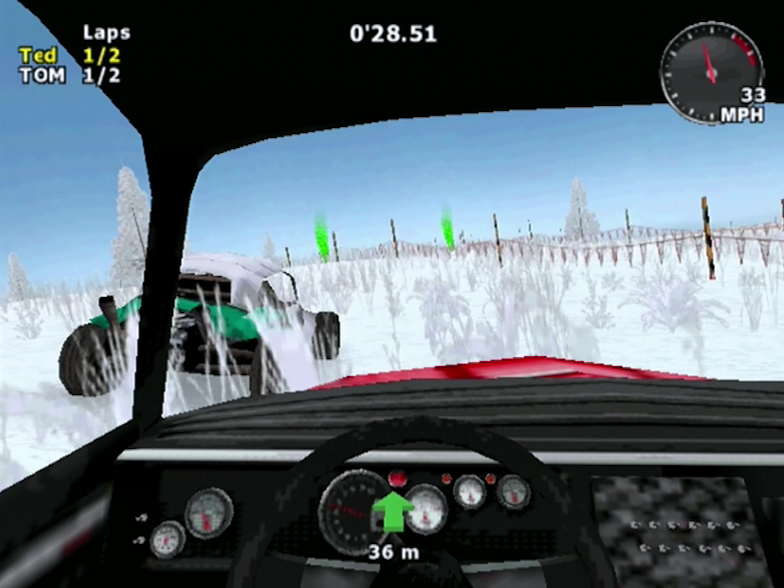 Audio in racing games can be more of a distraction than a benefit, and the games soundtrack should be turned off whilst racing as soon as possible. Racing games shouldn't be played with slightly forgettable music in the background - you should immerse yourself in the sounds of scratched panels, screeching tires and overheating engines. In this regard, the game is not exceptional, but it does the job. The sounds are all there, you can hear the car as it struggles from point to point, and everything sounds as you'd expect - even as far as being slightly muted when driving via the in car view. The music, for what it's worth, is not awful, and feel free to enjoy it through the menu screens. Compared to many of the Indie games on the DC, 4x4 Jam has a fairly large amount of content. The 32 stage career will keep most gamers satisfied for some time. Although the early stages in particular are somewhat easy to progress through, by the time you reach the second half of events, and your opponents are in some of the games more powerful vehicles, things get a little more tricky. 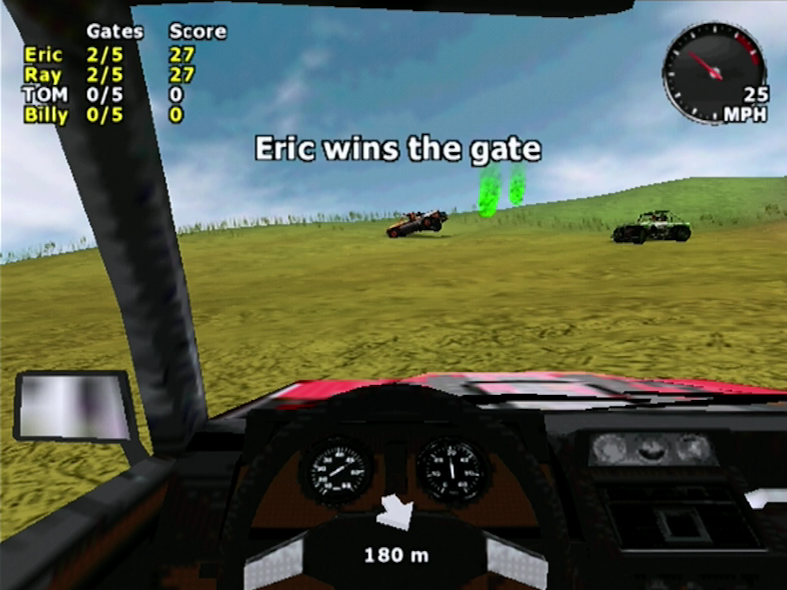 Getting enough cash together from placing well in events, and therefore being able to purchase vehicles to drive in career, is easy enough early on as the wins pour in, but as it progresses, you may have to re-race some events a couple of times to end up winning and to top up the bank balance to get the juicier, more powerful cars. In all there are 8 vehicles in the game, and when you start out and money trickles in, the most expensive Custom Pickup's price tag can be somewhat daunting. Each does have slightly different handling models, and mastering each will take a little time, but as I've previously pointed out, some are not quite as much fun to drive as others. Striving to afford all the vehicles however does give some focus and impetus to the game. With the 8 different areas and 4 modes in each, repeated playing to get best times will be the only long term appeal to the game once you've cracked the career mode. The lack of multiplayer is certainly one of the games most obvious drawbacks when trying to evaluate it's longevity, but it would be harsh to say that for those who enjoy the games handling and environments that post-career there's little to do. It's just, you probably will have to create your own motivation to keep playing through. Time wise, I swept through the early stages of the career in no time at all, reaching the second half of events in the first day. Things did slow down from there as I found the challenge increasing, but progress was still being made at a slower pace - so the career mode won't last a lifetime for veteran racing fans. To the games credit, however, I never felt that replaying stages was annoying, and the game remains fresh and fun for it's entire career run - quite an achievement, and one many earlier DC racers couldn't manage. 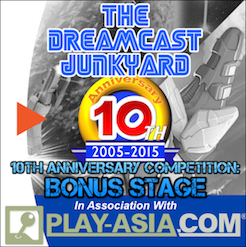 The emergence of JoshProd and their revitalisation of the DC indie scene has been a shock to many of us. The publishing of Breakers opened up a whole new world of old Neo Geo title potential, and to publish a game with the legendary status of Flashback in an official form on the DC is quite something. But the fact that a former PSP title (albeit one which emerged originally on smartphones) has come to the DC, and with a 3D engine that looks good too, is quite something. 4X4 Jam does not sit at the top of the consoles racing ladder, but the very fact that an Indie release in 2017 can be put alongside other decent DC racing titles and hold it's own, just shows you how far we've come. 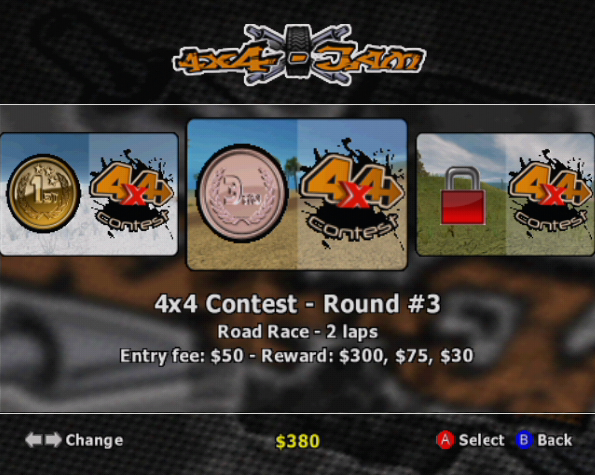 4X4 Jam remains an enjoyable and well made racing title throughout. Yes, it has its issues, and these are undeniable. 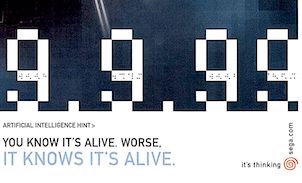 It's not as polished as perhaps it could be, and there are some annoying elements contained within the game. But the racing is enjoyable, the events (eventually) become competitive, and the game is motivational enough to push you to progress through the core career mode. 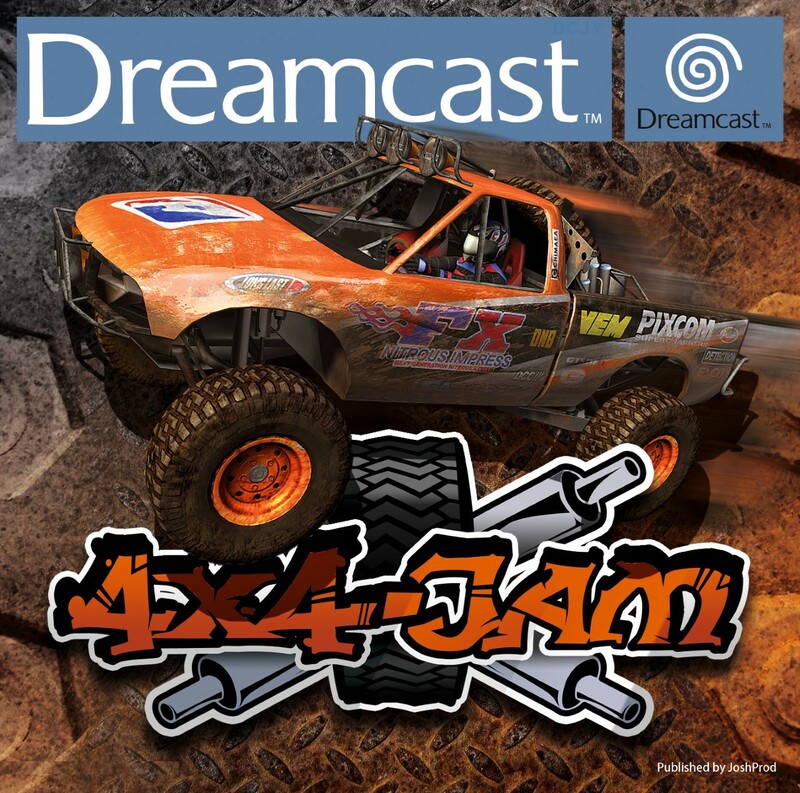 The possibilities that the publishing of this game opens up for future Dreamcast games is quite tantalising, and while we all look forward to, and enjoy, the unknown journey that awaits us with indie releases, there'll be 4x4 Jam to stick into our consoles and enjoy...and that is no bad thing at all. 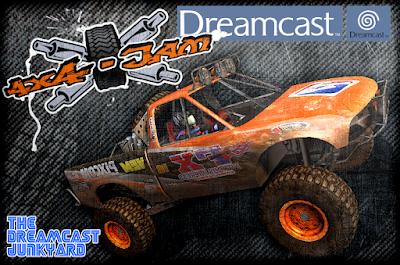 4x4 Jam is available to pre-order at Rush On Game now for the price of €32 plus shipping. What do you think? Will you be snapping a copy up? Let us know in the comments or join the discussion in our Facebook group. Well i already said this im another another post on dc junkyard but hell yes i have already ordered it. Why ? 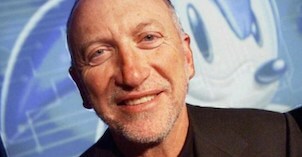 Let me quote you Tom "The possibilities that the publishing of this game opens up for future Dreamcast games is quite tantalising, and while we all look forward to, and enjoy, the unknown journey that awaits us with indie releases, there'll be 4x4 Jam to stick into our consoles and enjoy...and that is no bad thing at all" with that said i think its really exciting and really important that the dreamcast community orders this game to show the publisher that we want more of theese ! I agree with you Florian - 4x4 Jam is a good game and one I would not hesitate to recommend to anyone wanting to expand their DC library, but part of the excitement that I personally feel about this game is just what the future now holds for Indie releases on the DC. 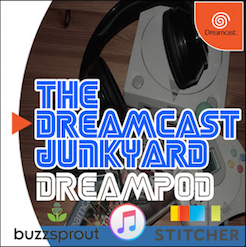 We're far past that old chestnut 'All DC indie releases are Shmups' now, and JoshProd should be commended and praised for the breath of genre that they've already managed to publish this year. Just what they may have up their sleeve for the future, or indeed what other publishers may now be planning, is mouth wateringly exciting. Nice to see that it is a decent game. The lack of multiplayer is really disappointing though, but I'm guessing the original mobile/PSP mini version didn't have it either given their nature. I'll see how much and where the NTSC version is available before buying though. Physical on the DC or other platform, I always have a hard time paying a premium like this for a $3-5 downloadable game. Does anyone know how much copies were been made? Tom - well, at least they tried. DCGX - yeah apparently it ran really slowly. But yeah, at least they tried. I believe the final version of the game may have a few minor tweaks too. I look forward to picking this up when the title releases. I am a big fan of 4x4 EVO which I don't think released in PAL territories (correct me if I'm wrong, Tom). 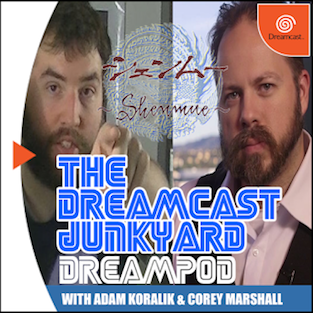 JoshProd is a hero in my book for publishing unique experiences for the Dreamcast. the lack of multiplayer is unfortunate but completely understandable. The Jam mode in multiplayer, a few mates crowded round a tv with some beers, selecting the slightly more roll-friendly cars - I can only imagine that combination would of shot up to one of the most hilariously awesome gaming experiences on the DC. 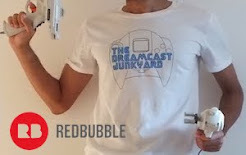 Anyone want to check out my multi dreamcast game pack?